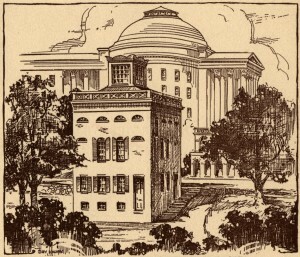 Two months later in April 1826, Jefferson apologized that he had to be the “official organ” of criticism directed to Arthur S. Brockenbrough, the University proctor, when he wrote, “We are not satisfied with the slowness with which the buildings have been conducted the last year, and particularly with respect to the library, and the anatomical theatre. These ought to have been done before this … a greater force of workmen ought to have been employed, and it is now requested that all which can be employed be immediately put into action first for the completion of the library room & shelves, and next the anatomical building.”  Sadly, the lengthy time frame for construction meant that Jefferson would not live to see the completion of the Theatre building before he died July 4, 1826. 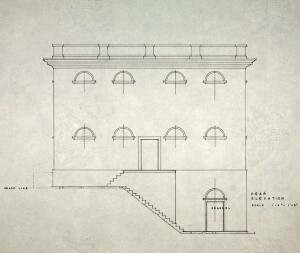 The Historic American Buildings Survey (HABS), under the U.S. Department of the Interior National Park Service, was established in 1933 as the first federal preservation program. 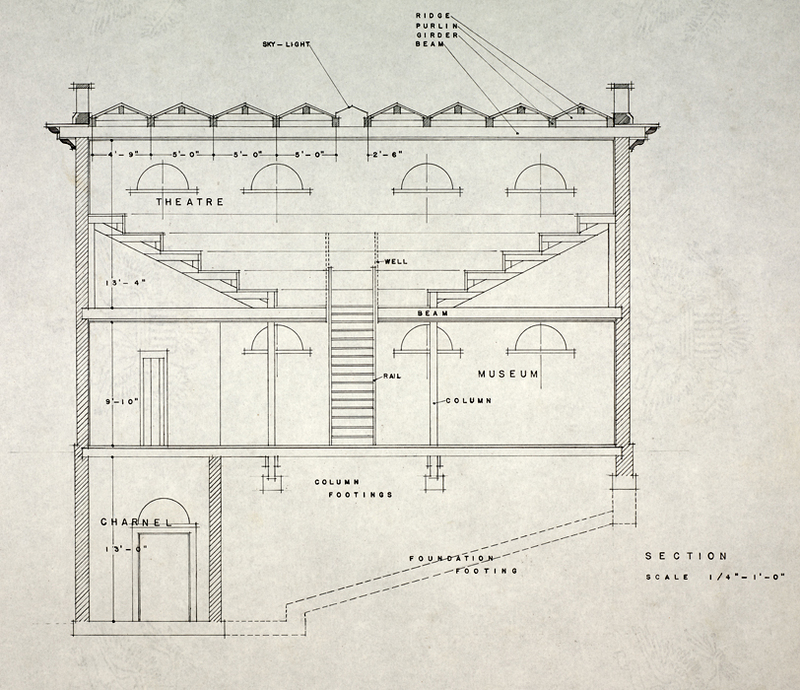 These measured drawings of the Anatomical Theatre are based on Jefferson’s plans. 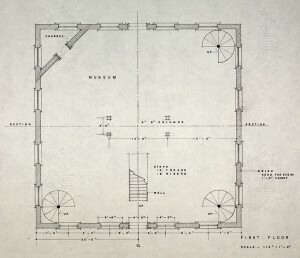 Jefferson drew the front elevation, a cross section, the first floor with a museum, and the second floor amphitheatre, as shown above. 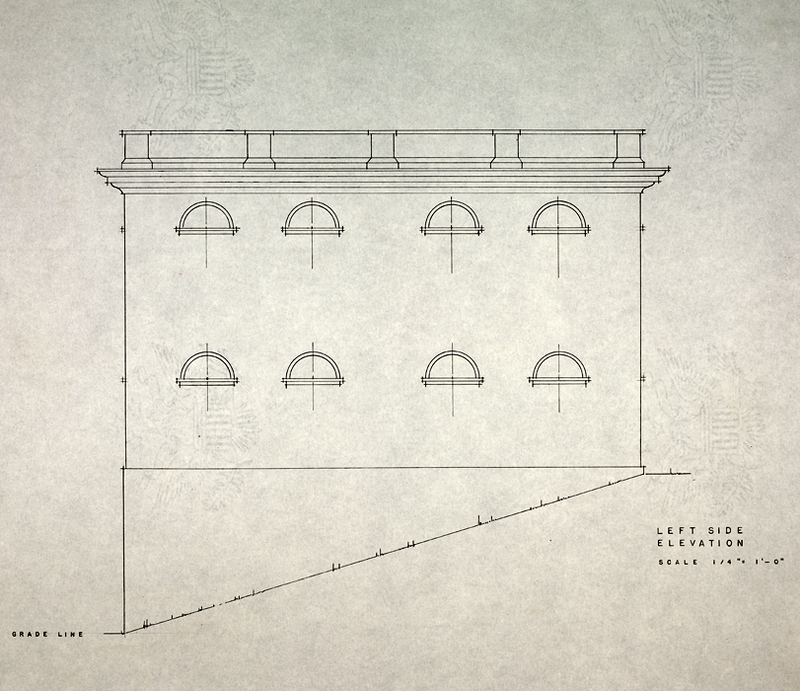 The Survey added three more elevations extrapolated from Jefferson’s originals: the left side, right side and back, as shown below. Done between 1951 and 1961, they were made more than a decade after the actual Theatre had been demolished. 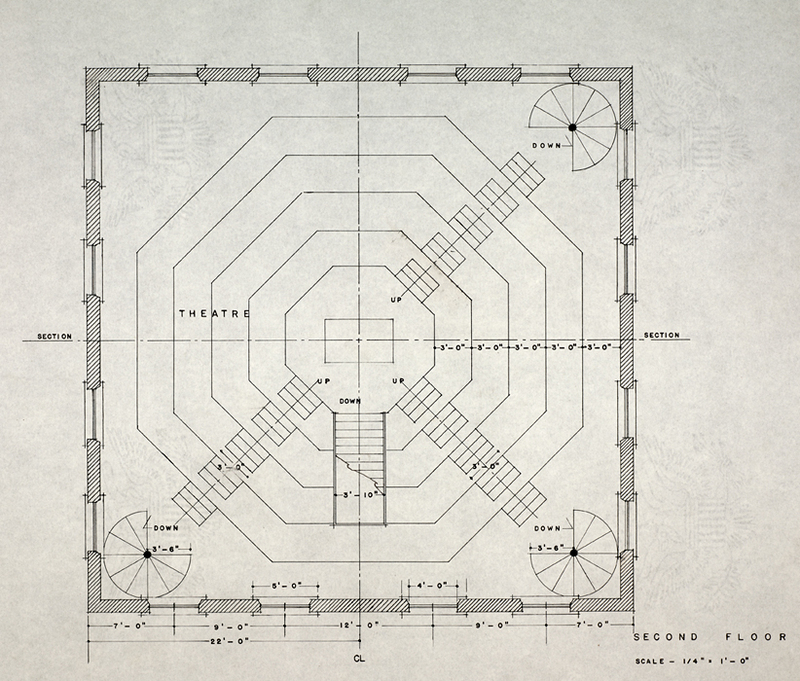 The HABS generally documents existing buildings which indicates the significance the Survey assigned to Jefferson’s Anatomical Theatre. Extrapolated Back Elevation. 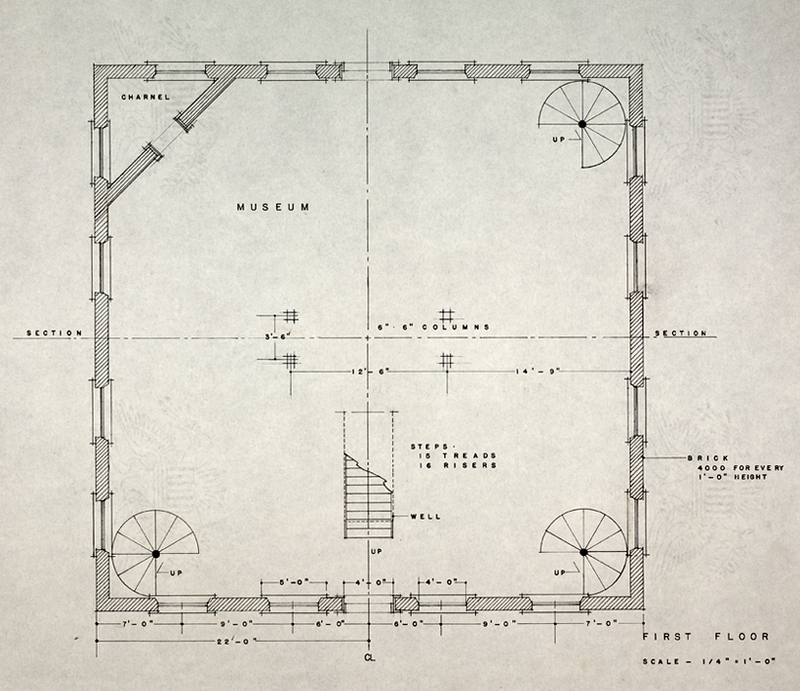 All images from Measured Drawings of Building Designed by Thomas Jefferson, 1951-61. Accession #5946, 5946-a, 5946-b, Special Collections Library, University of Virginia, Charlottesville, Va.
Anatomical Theatre, by Charles C. Haskell and Co., undated. 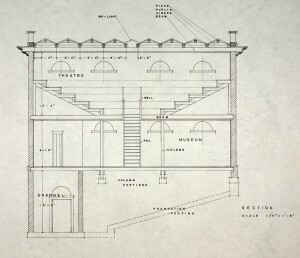 This sketch shows the Anatomical Theatre after the addition of the cupola which was probably added when a new roof was installed following an 1837 resolution. Prints07397, Special Collections, University of Virginia Library, Charlottesville, Va. The sketch to the left is from a series illustrating the development of medicine in the South by Chas. C. Haskell and Co. of Richmond, Virginia. 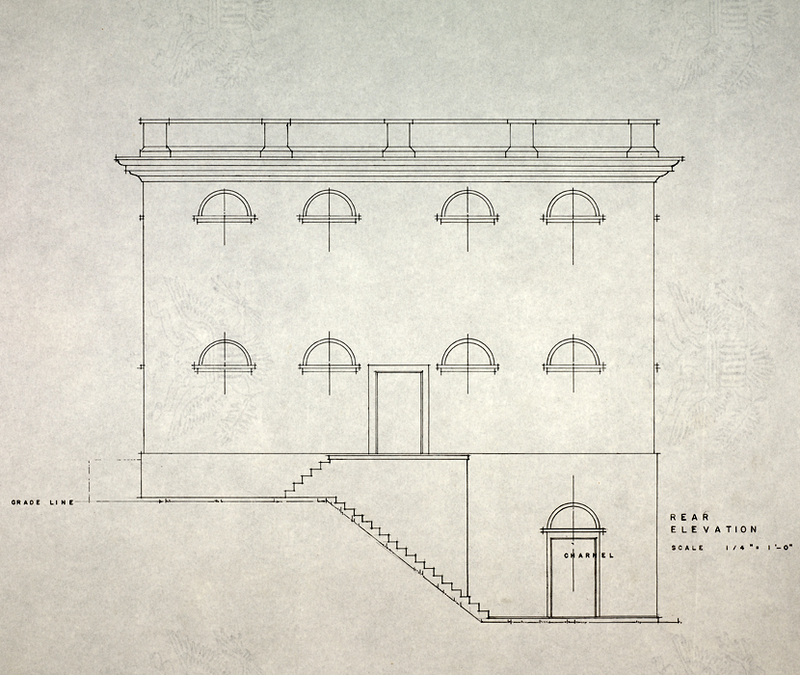 Jefferson’s drawings show the charnel, a place for cadavers or body parts, as the only room on the lowest level. 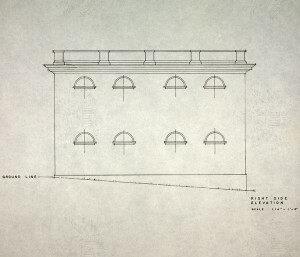 However, this sketch of the 19th century Theatre shows one row of windows level with the top of the charnel door on the rear wall as well as an additional set of windows below, indicating there were probably at least three or four full floors in the building, not just the two that Jefferson drew. 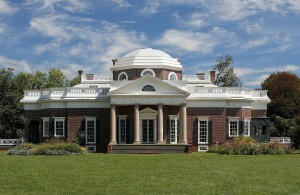 In terms of the exterior, Jefferson drew eight lunette or half-moon windows for the back of the Theatre and another eight for the front. 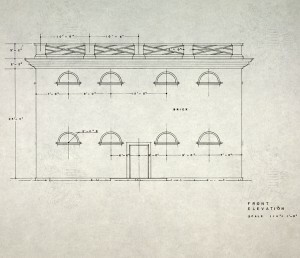 Earliest images of the building show nine half-moon windows in the front and a total of 14 windows in the back, comprised of six half-moon windows and eight variously sized rectangular windows, two with lunettes. 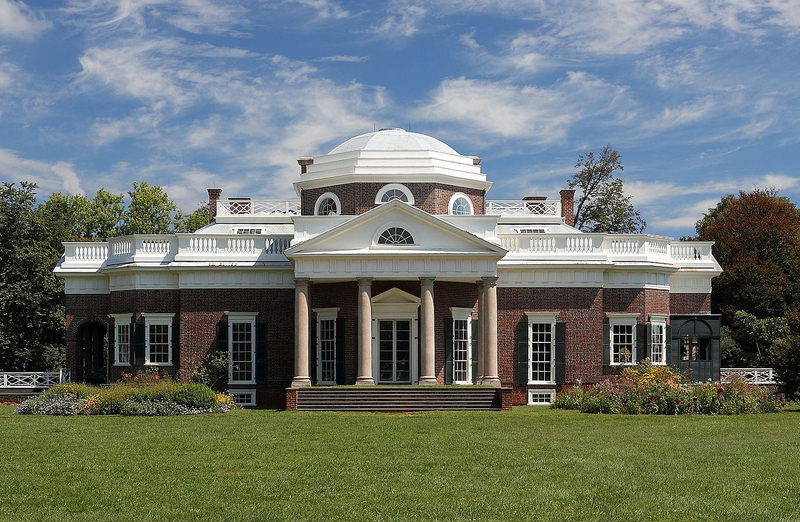 Thomas Jefferson’s Monticello. 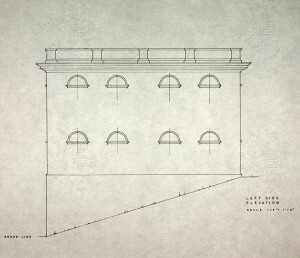 Chinese Chippendale railings on Monticello’s uppermost roof, railings on its flat roofed terraces, and lunette windows are similar to those at the Anatomical Theatre. These design features are also found at his Poplar Forest retreat. By Martin Falbisoner via Wikimedia Commons. According to Dunglison, it became apparent that the opening of the Anatomical Theatre as well as the addition of more professors to teach classes in practical anatomy, surgery, and medicine (in addition to hiring Dr. Johnson, the University added materia medica to Professor John P. Emmet’s offerings for the third session) provided the necessary training to educate physicians. In 1828, at the end of the fourth session, three students received the first M.D. degrees from the University of Virginia. 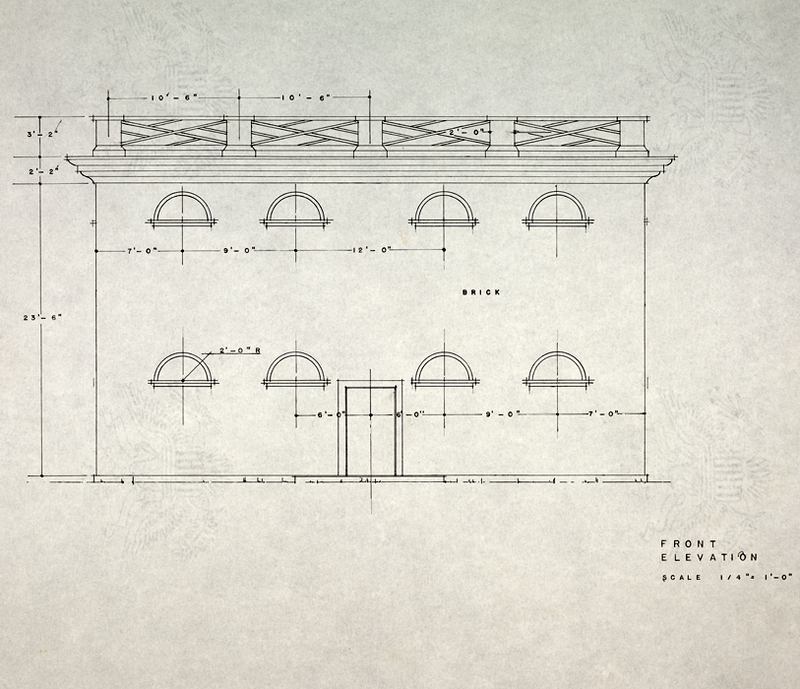 Over the next 20 years, there were more students registered for anatomy than surgery, a total of 901 to 852. In those 20 years, there were 186 graduates from the School of Medicine. Anatomical Theatre with inset of Dr. Robley Dunglison, undated. Dr. Dunglison, the first medical school professor, and the other figures are in 19th century attire, but the building is as it looked after 1920. 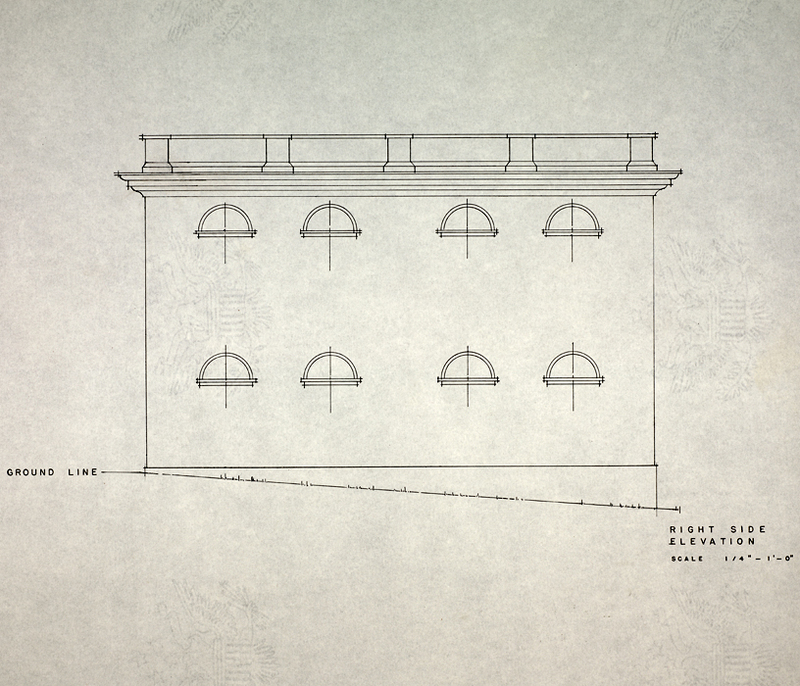 It is lacking Jefferson’s railing, and there is no cupola which dates it after the 1886 fire. The columned portico was added to the rebuilt Theatre in 1920. Edwin M. Betts Memorial Collection of University of Virginia Prints, Photographs and Illustrations, 1817-1930, Accession #7073, 7073-a, Special Collections, University of Virginia Library, Charlottesville, Va.
Robley Dunglison to Arthur S. Brockenbrough, September 8, 1826. Papers of the Proctor of the University of Virginia, RG-5/3/1.111, Box 6: Folder 655. Special Collections, University of Virginia Library, Charlottesville, Va.
University of Virginia, Board of Visitors. Report of the Rector & Visitors of the University of Virginia to the President and Directors of the Literary Fund. Richmond: Thos Ritchie, 1825, 32, 36. Grizzard, Frank Edgar. 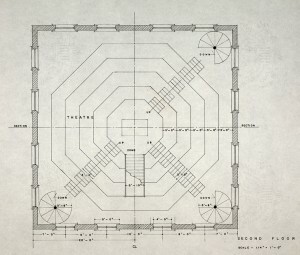 Documentary History of the Construction of the Buildings at the University of Virginia, 1817-1828. A Dissertation Presented to the Graduate Faculty of the University of Virginia, August 1996, Chapter 10, The Building Campaign of 1825, Anatomical Hall, footnote 725. 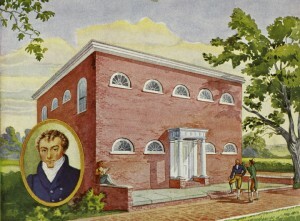 The Literary Fund was established in 1810 by the Virginia state legislature to support public education, specifically “the sole benefit of a school or schools in each county.” It was poorly funded until 1816 when the federal government began to repay Virginia for its loans to fight the War of 1812. Even with the additional funds, there was disagreement as to how best to spend the money—elementary schools for all or higher education for the few? See William Arthur Maddox, The Free School Idea in Virginia before the Civil War; A Phase of Political and Social Evolution, Submitted in Partial Fulfillment of the Requirements for the Degree of Doctor of Philosophy, New York City: Teachers College, Columbia University, 1918, 48-55. University of Virginia, Board of Visitors. Reports of the Board of Visitors to the Literary Fund, 1814-1837, 1. RG-1/1/6.151. Special Collections, University of Virginia Library, Charlottesville, Va.
University of Virginia, Board of Visitors. Reports of the Board of Visitors to the Literary Fund, 1814-1837, 1825: 20. Cabell, Nathaniel Francis. 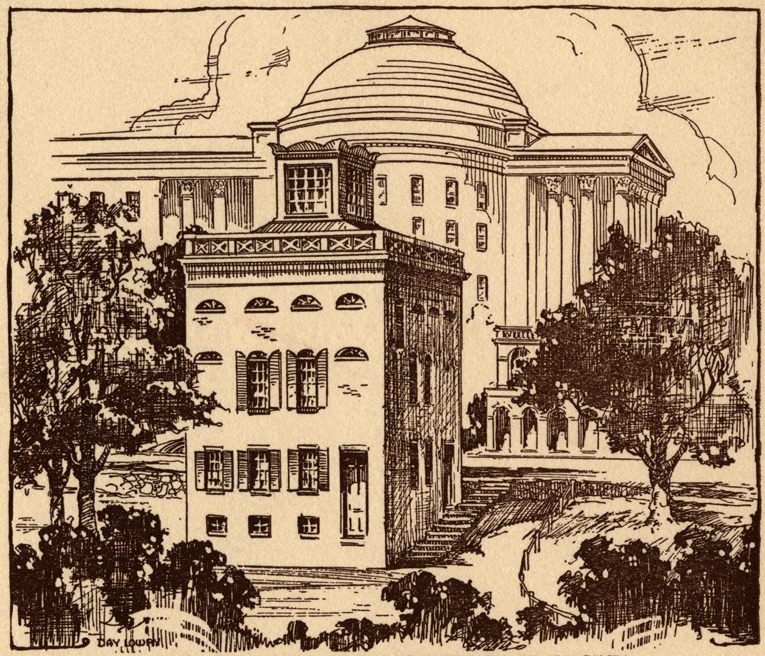 Early History of the University of Virginia, as Contained in the Letters of Thomas Jefferson and Joseph C. Cabell. Richmond, Va.: J.W. Randolph, 1856, 363. Retrieved from HathiTrust Digital Library. Thomas Jefferson to Arthur S. Brockenbrough, April 7, 1826. Thomas Jefferson Papers, 1606 to 1827. Library of Congress, Washington, D.C.
Robley Dunglison to Arthur S. Brockenbrough, September 8, 1826. Papers of the Proctor of the University of Virginia, Box 6: Folder 655. RG-5/3/1.111, Special Collections, University of Virginia Library, Charlottesville, Va. John Neilson and James Dinsmore were master joiners and builders who both worked at Monticello and the University of Virginia. Robley Dunglison to Arthur S. Brockenbrough, September 8, 1826. University of Virginia, Board of Visitors. Minutes, October 2, 1826, 136, Retrieved from http://guides.lib.virginia.edu/bovminutes. University of Virginia, Board of Visitors. Reports of the Board of Visitors to the Literary Fund, 1814-1837, 1827: 22. University of Virginia, Board of Visitors. Reports of the Board of Visitors to the Literary Fund, 1814-1837, 1827: 22, 24. University of Virginia Proctor. Day Book, 1821-1828, RG-5/3/2.102, Special Collections, University of Virginia Library, Charlottesville, Va.
University of Virginia, Board of Visitors. Reports of the Board of Visitors to the Literary Fund 1814-1837, 1829: 24. University of Virginia, Board of Visitors. Minutes, July 10, 1830, July 10, 1833, August 17, 1837, July 4, 1840; Jordan, Harvey E. History of the School of Medicine of the University of Virginia. Charlottesville, Va., 1952, 15. A. S. Brockenbrough to John Hartwell Cocke, August 20, 1826. John Hartwell Cocke Papers, 1725-1939, Box 48, 1829: 24. MSS 640, Special Collections, University of Virginia Library, Charlottesville, Va.
University of Virginia, Board of Visitors. Reports of the Board of Visitors to the Literary Fund 1814-1837, 1827: 24. University of Virginia. A Catalogue of the Officers and Students of the University of Virginia, Third Session, February 1st – July 20th, 1827. Charlottesville: Chronicle Steam Book Printing House, 1880, 4. Radbill, Samuel X. (Ed.). The Autobiographical Ana of Robley Dunglison, M.D. Philadelphia: American Philosophical Society, 1963, 35-36. There is confusion over whether three students or four received an M.D. degree in 1828. According to communication dated September 23, 2015 with the Office of the University Registrar, there were only three. University of Virginia. Catalogue of the Officers and Students of the University of Virginia. Session of 1846-47. Charlottesville: J. Alexander, printer, 1847, 4. University of Virginia, Board of Visitors. Minutes, April 3, 1826, 106. University of Virginia, Faculty. Minutes of the General Faculty [manuscript] 1825-1970, July 28, 1828:358. RG-19/1/1.461, Special Collections, University of Virginia Library, Charlottesville, Va.